Hollywood has fallen in love again. Five years on from The Artist, a beautiful nostalgic nod to cinema history, here we are again in the land of bygone times. 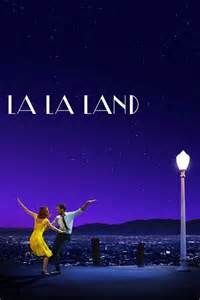 La La Land knows its roots, tap-dancing its comic timing like the good old days in Top Hat or Singin’ In The Rain. Ryan Gosling and Emma Stone are given the full star-treatment. Friends and family come and go, mere brightly adorned baubles in this production of the hero and his leading lady. Writer and director Damien Chazelle zones in on the two lovers, much like he did on Whiplash with the brilliantly intense duo Andrew (Miles Teller) and the unforgettable Fletcher (J.K.Simmons) – the latter making a brief appearance when he hilariously demands Gosling play Jingle Bells. Though unlike the unsettling manic pursuit of genius you get from Chazelle’s first Oscar winning movie, this musical romance makes for very comfortable viewing. Undoubtedly a sugar-coated, watered down version of what it takes to achieve your dreams. The set-pieces are stunning and everything transitions from one dreamy moment to the next with a soundtrack that, while not incredibly powerful, is none-the-less catchy. The best of it, “City of Stars,” will likely win original song at the Oscars, as it did the Golden Globes. However, the film is a slow-burn for me. Rather than the spectacular Moulin Rogue brought to our screens, this one has a similar scene of the couple’s first kiss – drifting afloat in a night-time starry sky – that is certainly beautiful but lacks originality or true memorability. Overall, a pleasant cinematic experience, but it’s only at the end that I feel the film’s raw emotion. The heart-breaking montage of what could have been is a sequence that resonates. Everyone who has loved and lost can imagine their own version of ‘in another life, we’d be together’. Interestingly, Chazelle brings forward, in a very different way, the same message from his last film: to pursue your art, you have to sacrifice, and that points of conflict (here played by frenemy John Legend), as well as rejection and ridicule are more important to success that the support of loved ones. You wonder what was the cost to his own journey to Hollywood, though, whatever it was, it certainly looks to be paying off now. Bringing together his love of jazz music and film, this auteur should be on every filmgoers radar. 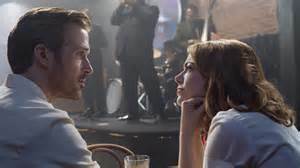 While Whiplash didn’t let go, La La Land is a confident film that proves his talent and deserved recognition.